Durable displays require no tools for quick set-up in only a few minutes! Many other styles of portable display kits available now for purchase! 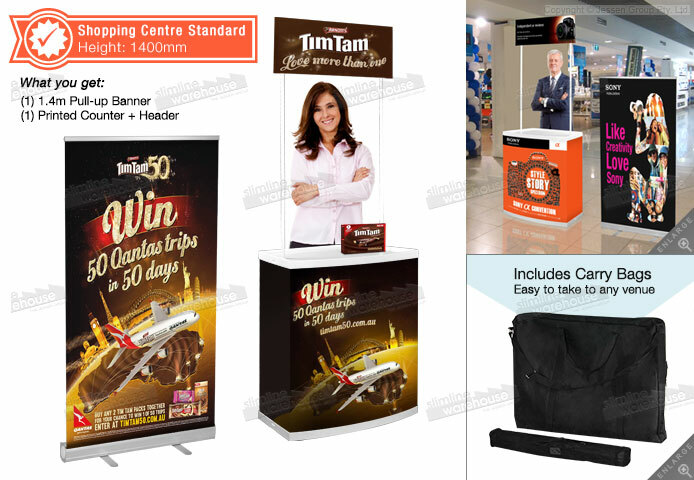 Shopping centre stands, like mall display stands and exhibition pop ups, make it easy to market items and give potential customers a place to interact with your employees on the sales floor, around a mall, or even at your exhibition booth. Each component of the kit knocks down small to easily be transported to events, with the included nylon carrying bags making it easy for any employee to move these displays! The shopping centre stands include a 1.4m tall pull-up banner, conforming to the standard for use in shopping centres. The graphic itself measures 850 x 1400mm to provide heaps of space for your custom designs to get the attention of passersby. No tools are needed for assembly of the exhibition pop up displays in minutes! 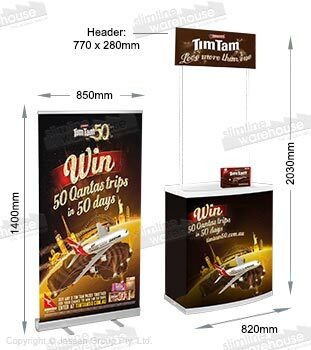 There is also a greeting counter that also lets you have designs printed on the front of the counter as well as a header that stands tall to easily be seen. The interior features a shelf that is great for placing beverages and additional items. Check out our online catalogue to see hundreds of products that you can use to outfit your business with high-quality items available at prices that won't break the budget. 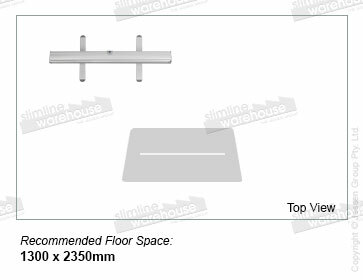 Slimline Warehouse has been a leading provider of goods to Australians for over 20 years. Orders paid prior to 1pm EST will despatch to Sydney, Melbourne, Hobart, Perth, Adelaide, Canberra, Brisbane, & anywhere else in Australia with most in stock items!